Visiting Baltimore this June? Looking for something to do during your stay? Show your Baltimore pride this June by participating in some of our local events! Register now to participate on June 6 in this once-in-a-lifetime event! If you’re familiar with the show WipeOut, you know how crazy and fun this looks. 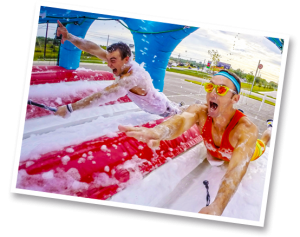 Take a chance and participate in a 5k obstacle course containing 12 larger-than-life obstacles. This is a guaranteed good time and good laugh. Early Bird: Wave 1 is from 8:30a.m.-10:30a.m. and the Need Sleep: Wave 2 is from 11:30a.m.-3:30p.m. There are limited spaces available, so sign up as soon as possible! Tickets are $67. Let’s not forget about our Bird’s! The Baltimore Orioles have some great home games coming up June 9-16 against the Red Sox (June 9-11), Yankees (June 12-14), and Phillies (June 15-16). Promotions include: June 11 &16 – Alumni Autograph Series where former Orioles players will sign autographs on Eutaw Street 1 1/2 hours before the game starts. June 12-14 – OriolesREACH Food and Funds Drive where fans are asked to donate cash to Oriole Park or non-perishable food items to benefit the Maryland Food Bank. Don’t forget to take pride in Maryland! 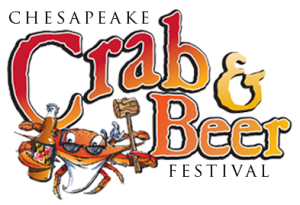 The Chesapeake Crab & Beer Festival is being hosted at the Inner Harbor, Baltimore, Maryland on June 13. This is a new tradition being brought to Baltimore, so make sure you are a part of it! The festival will have lots of crabs, beer, arts & crafts, live music, family fun, and more. It will be held at the Inner Harbor at Pratt and Light Streets, Baltimore, Md 21201. Ticket options and additional information can be found on MD Crab Fest’s website or call 800-830-3976. Speaking of taking pride in Maryland traditions, don’t forget about the HonFest June 13-14. This is a local tradition to celebrate historic working-women of Baltimore. June 13: 11a.m.-10p.m. and June 14: 12noon-6p.m. This event will be held at W. 36th Street, Baltimore, MD 21211. Are you attending these events and looking for a place to stay while visiting Baltimore? Check availability and make reservations at the 1840s Carrollton Inn now!